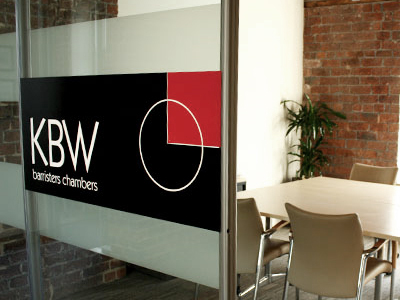 KBW is a multi-disciplinary set of Chambers with a long established reputation both on circuit and nationally. During 2014, we celebrated our 60 year anniversary. Dedicated and professional, our barristers provide legal advice and advocacy at the highest level. Our commitment to client care means that barristers develop long-term relationships with those instructing them and have built a loyal client base. Members have been involved in a number of high profile cases including terror offences Court of Appeal, Supreme Court and leading civil judgements. We pride ourselves on having members operating at the height of their specialist areas on both a national and international level. Chambers is located in Leeds in the Round Foundry area; a distinctive cluster of newly refurbished listed buildings, our facilities operate in the same building where Matthew Murray built the world’s first commercially successful steam engine. We now provide clients with modern, well equipped and highly accessible conferencing and lecture facilities. KBW was established as 11 King’s Bench Walk, Temple in 1954 by George Waller QC, who subsequently became leader of the North Eastern Circuit, a High Court Judge and finally a Lord Justice of Appeal. Although Chambers was for many years based at this address in London, the members of 11 King’s Bench Walk always had strong links to the North East where most predominantly practised. From the early days, the quality of the legal knowledge and advocacy provided by 11 King’s Bench Walk was such that it rapidly became the premier set of chambers in the North East, and one of the premier sets of chambers in the country. Former members of Chambers, Lord Taylor and Lord Justice Kennedy, went on to high judicial office as the Lord Chief Justice of England and Wales and the Vice-President of the Queen’s Bench Division respectively. Over the years, many other members of Chambers have gone on to take judicial appointments. With the increasing importance of Circuits as regional centres of excellence, the decision was taken in 1982 to open an annex in Park Square, Leeds to offer facilities locally. This was a great success. There then followed the 22 years’ leadership of Franz Muller QC, during which time Chambers grew from strength to strength. As Chambers’ work was predominantly in the North East, and as all members of Chambers now lived in the region, the decision was taken in 2004 to move the whole administration of Chambers from London to the North East. Leeds was chosen as the leading legal centre and also as a place geographically central to the North Eastern Circuit. Chambers remains committed to the principles of excellence which have been a cornerstone of our ethos from the very beginning of 11 King’s Bench Walk. Although no longer based at 11 King’s Bench Walk, the link with this history has been preserved in the choice of our new name: KBW.